Satisfy all criteria for Level I and Level II accreditation. 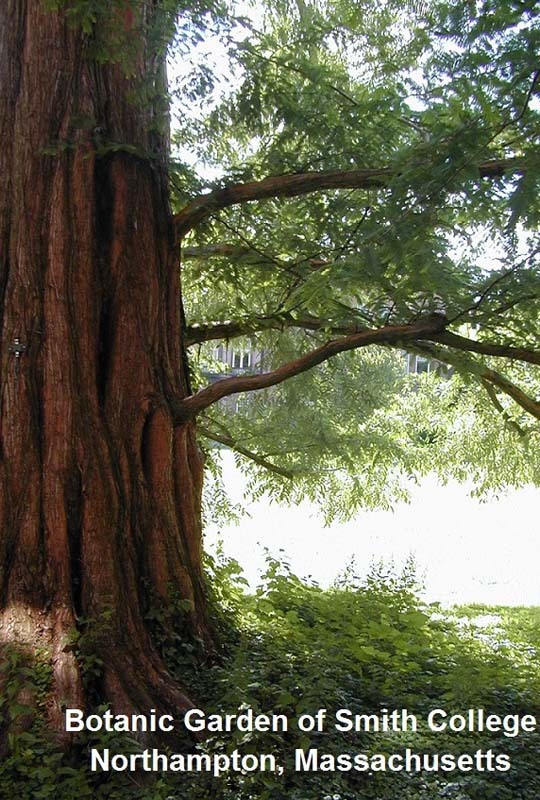 A minimum number of 500 species, varieties or cultivars of trees or woody plants. 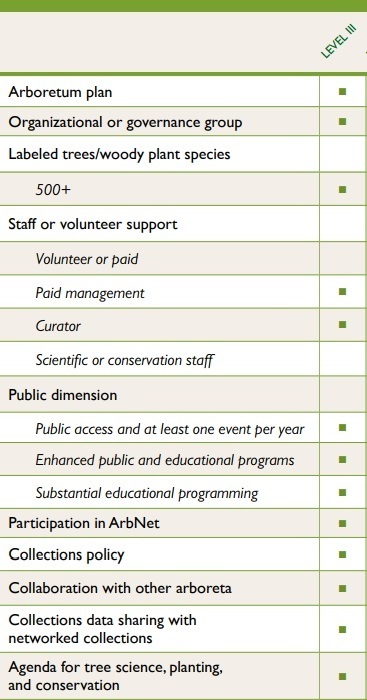 A dedicated curator, or curator-equivalent employee, who is focused on the care and development of the arboretum collection, in accordance with the arboretum plan and collections policy. Professional capability to collaborate in some way with other arboreta relevant organizations (e.g. public gardens, universities, local government, NGOs, student groups, etc.) preferably with evidence of existing collaboration. Examples of collaborations may include plant evaluations, research projects, in situ or ex situ conservation projects, educational programs, exhibits, public events, interpretation, collecting expeditions, plant exchanges, professional meetings and co-authoring scientific research papers. Sharing of plant collections data with networked collections databases, such as the BGCI Plant Search Database (bgci.org/worldwide/plant_upload). An active agenda related to tree science, strategic planting, or conservation. This agenda should include direct research or the facilitation of scientific activities beyond public educational activities, in which data are acquired to solve problems in tree science or tree conservation. Examples include conducting plant trials, habitat monitoring, detecting pests and diseases, hosting collections-based research projects, or conducting research in forest ecology, physiology, systematics, seed and tissue banking, horticulture, or tree care. Substantial program of education related to trees, conservation, and other related topics.